Midnight Oil 1984 is the story of the sweat-soaked, hardworking rock and roll band whose music galvanised a generation of young Australians and inspired them to believe that the power of music could change the world. Featuring the biggest hits from some of their most legendary shows, the movie gives you an Access All Areas pass to see the band behind the scenes and where the action is. 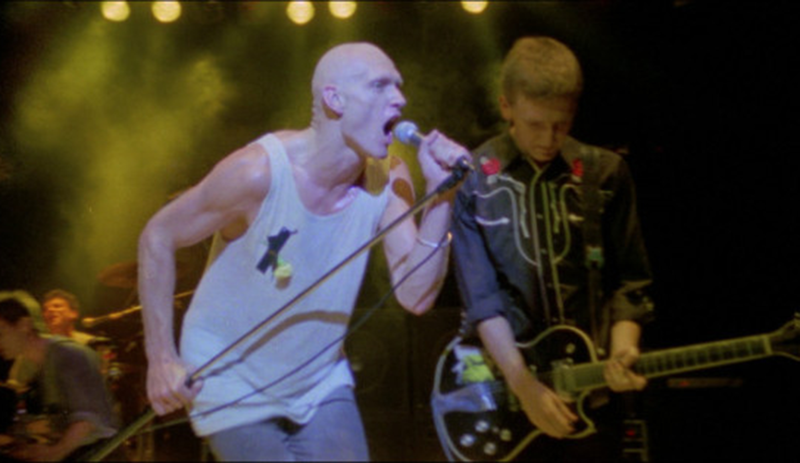 Feel the electric energy on stage and witness the personal struggles of the band members as they try to balance the equally compelling demands of both music and politics when lead singer Peter Garrett decides to join the race for an Australian Government Senate seat. A vivid portrait of the era and the songs that embodied it, Midnight Oil 1984 is an up close and personal look at the iconic rock band, seen on the big screen for the first time. To celebrate this awesome musical doco release, we are giving you the chance to win one of two double passes to the opening night on Thursday, May 10 at 7pm at Event Cinemas. To enter simply email us here at win@xpressmag.com.au with MIDNIGHT OIL 1984 in the subject line and tag the mate you want to take on the Facebook post. Don’t forget to like the X-Press Facebook page and sign up to the newsletter to be in the running! Competition closes Tuesday, May 8 at 4pm. Please only enter if you can attend. You must be a Perth, WA resident and able to attend Event Cinemas Innaloo on Thursday, May 10.